The University of Kansas is flying an American flag with a splattering of black paint and a black and white striped sock as part of an art exhibit on the current political climate. German artist Josephine Meckseper designed the flag which is being flown at a dozen locations in the United States, including KU, Cornell University, Texas State University, Rutgers University, and the University of South Florida, Campus Reform reported. 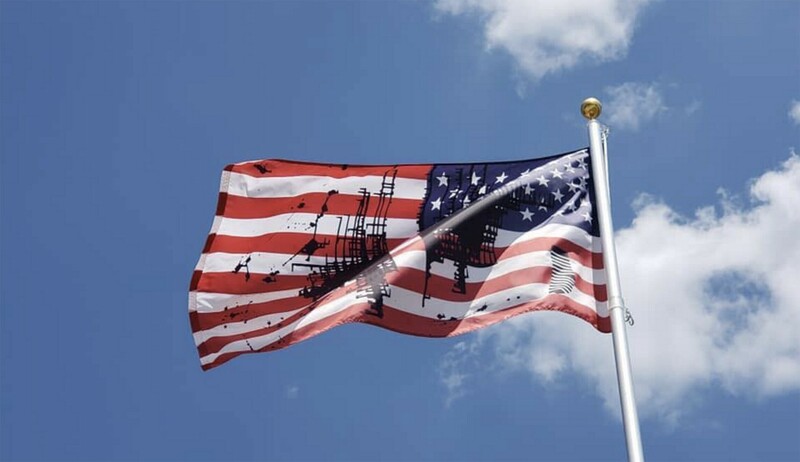 Meckseper's flag is part of a larger project that's been going on since June 2017 titled "Pledges of Allegiance," which features 16 different artists designing their own flags on issues they care about. “We realized we needed a space to resist that was defined not in opposition to a symbol, but in support of one, and so we created a permanent space. The flag seemed an ideal form to build that space around both practically and symbolically,” Creative Time Artistic Director Nato Thompson said on the project website.